Also suitable for those that have moderately impaired mobility. Parking: Private parking next to cottage. 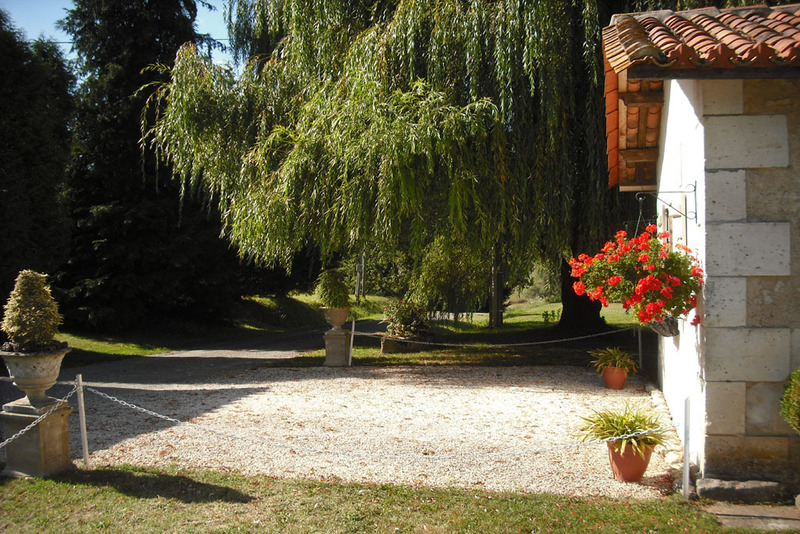 This one bedroom cottage stands in the grounds of Chez Fert, in a breathtaking rural setting, on the edge of Villebois and Ronsenac villages. Suitable for two people, it is all on one level for easy access. It has wooden floors, original oak beams and stone walls giving character to the property. The double glazed windows have curtains and shutters. This beautiful cottage gives a warm, homely welcome. Large luxury bathroom with power shower. None slip tile flooring. Ceramic sink with ornate mirror and stylish strip lighting. Storage cupboard. All Towels Provided. Excellent views to garden and surrounding countryside. A twin bedroom sleeps two people. Two brand new comfortable single beds with sunshine yellow bedding and curtains to match. Hanging and shelving facilities for your clothes. Wooden coat hangers provided. All bedding is included. Real wood flooring, oak beams and natural stone wall. A cosy living room, which includes real oak beams, a large open fireplace with wood burner, satellite TV, WiFi, DVD player with an assortment of films and a selection of books. A kitchen area, which includes fridge, microwave, toaster, double hot plates with extractor hood, stainless steel sink, all utensils, pots and pans, Brita water filter, Iron, Ironing board and kitchen units.